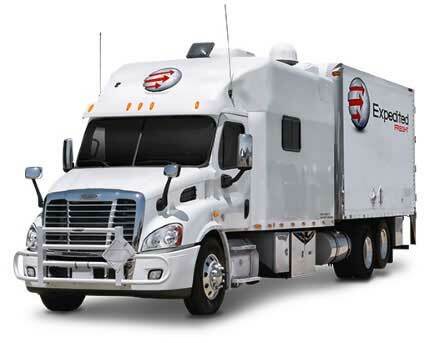 Expedited Freight provides years of relevant experience and proven results that have established us as a national leader in the dedicated freight industry. Whether a single pallet needs to be shipped across the state or clear across the country, we're ready to help immediately with our expedited trucking services. We offer a broad range of Air Freight & Air Charter solutions designed for your expedited shipments. Skilled air freight services handled by our expert team. We'll keep you fully informed throughout via our team and technology. Our flexible services allow you to monitor your expedited freight shipments from pickup through to delivery. We're a nationwide provider of expedited freight services for all of your commercial direct freight needs. We specialize in longer haul interstate freight for last minute shipments and are the experts in time-critical shipments regardless of the destination at short notice. We operate exclusive use, dedicated vehicles nationwide meaning your freight is never in a shared vehicle. This allows us to provide expedited shipping services from point to point. Expedited Freight is your ideal partner to help you meet your tight deadlines and gain an edge on the competition and keep your business on track. Experience shows us that there are few things more important to successful business operations than access to reliable and secure Expedited Freight Services. At Expedited Freight, it’s our aim to become your trusted partner in providing the rapid delivery of urgent direct freight coupled with excellent service that sets us apart from the competition. Our testimonials provide a strong example of our commitment to providing dependable Expedited Freight services. Every day, across the country, our team are managing urgent overnight trucking and same day expedited loads meaning that supply lines are replenished, missed loads are collected and your customer's needs are met. We understand the cost of a late shipment or a missed delivery and we work tirelessly to provide creative expedited trucking solutions. Such dependable services only come with years of expertise and the support of our huge network of resources, for expedited service you've found the answer. No matter where you require expedited trucking services our extensive network allows us to provide the most rapid coverage across the United States and Canada. We have round the clock access to a fleet of direct freight vehicles nationwide, each equipped to provide expedited freight services in cargo vans, sprinter vans or straight trucks that we matched specifically to your freight. We can dispatch vehicles almost anywhere and on-board satellite tracking means we'll monitor your urgent freight throughout. Our deep experience delivers your expedited freight and peace of mind. When you work with us, you gain access to a wide range of versatile delivery services including Expedited Trucking, Dedicated Trucking, and Expedited LTL. Our flexible solutions are tailored to fit your needs. At Expedited Freight, no delivery is too far and no deadline too tight for our team of professionals. Our highly experienced team knows much more than just urgent freight; they also understand what on-time and dependable shipping solutions mean to a business and its bottom line. We’ll personally work with you to best understand your requirements and we’ll deliver your shipments according to your schedule—24 hours a day, 7 days a week, 365 days a year. Your success is of paramount importance to us. Expedited Freight provides reliable trucking services across the United States and Canada. By utilizing everything from 53-foot tractor-trailers to straight trucks and cargo vans, as well as a vast network of drivers, there isn’t an urgent shipment we can’t handle with the utmost speed and efficiency. Gary Edwards Sargento Foods Inc.